REV-Tech is a new name to the vaping scene, but their marketing game is already on-point. 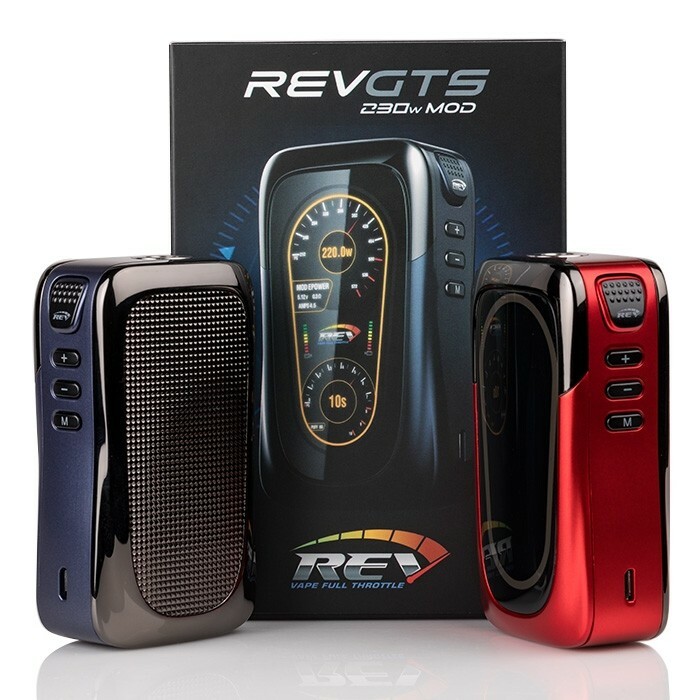 The British-based company recently released three high-powered mods right out of the gate, and we have two of them ready to review, starting with this shiny monster – the REV-Tech GTS 230-watt mod. There are a lot of similar-looking mods on shelves today. The GTS isn’t one of them. Using an absolutely enormous, two-tiered display designed to resemble a car dashboard, the GTS perfectly conveys the automotive aesthetic, without being illegible or confusing. This design choice is only furthered by the classy, high-gloss, metallic paint jobs. Growing up, I always wanted a candy apple red machine. I just never thought my first would be powered by 18650s, and not eight cylinders. 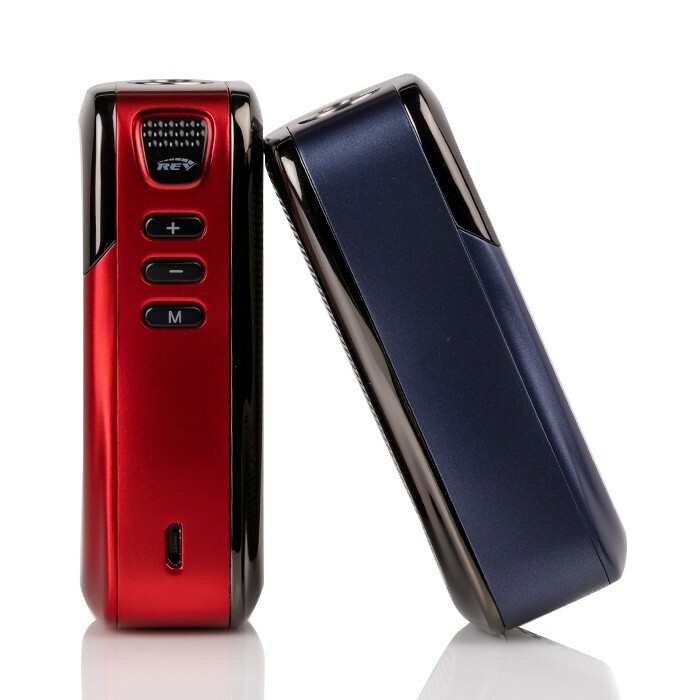 Joking aside, the zinc alloy GTS isn’t going to appeal to everyone, but it’s also not going to be confused for any other faceless box or compact tube mod. Despite 94mm in height, and a 55x32mm footprint, the concave design of the sides helps offset the dimensions and make the mod feel good in the hand. Let me get to one point early – the display itself is a mixed bag to these eyes. Though the menu system allows for endless customization of colors, the supposedly “high-res” display is actually a little fuzzy and pixelated, with a moving “speedometer” that jumps erratically when firing. It achieves its intended effect, but the image on the packaging seems a little clearer and more advanced than the more basic graphics show on the device. Are these deal-breakers? Of course not. I’ll take something fun and unique over another monochrome OLED display any day. But if REV-Tech wanted to use such a massive display, why not fine-tune the animations and sharpen the image quality before release? Amazingly, despite the large form factor, the GTS is light, while still feeling solid and durable. The high-gloss finish is extremely well done, and feels a little like ceramic, without becoming slippery. Finally, one feature that I initially didn’t like, but learned to appreciate, was the offset 510 connection. While I normally prefer symmetry on my devices, the GTS’s curves would have made a center-mounted tank resemble a genie’s lamp, or a bottle of dish soap. Offset, it looks like a commanding piece of technology – a smart design choice for REV-Tech. 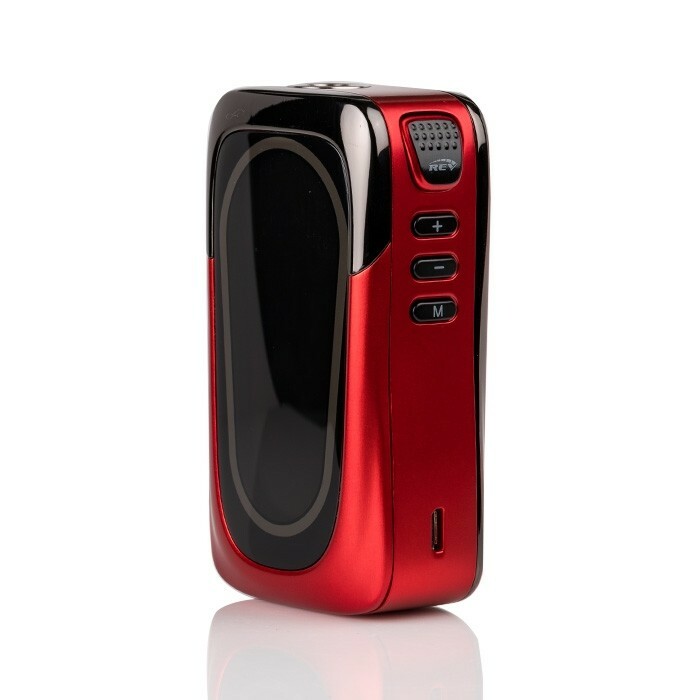 With a new vape company usually comes a new chipset, and the GTS mod is no exception. The proprietary Venom board brings 230-watt power to the table, alongside a full TC suite, bypass mode, six TCR slots, custom preheat settings, and countless other modifications. In terms of customization, the Venom chipset isn’t quite a DNA board, but that elusive gap continues to narrow with every new system that hits the market. Thanks to the big screen, operating the REV-Tech GTS will be pretty easy for newcomers, and child’s play for vape veterans. Despite my earlier complaints about resolution, the massive display does a good job laying out necessary information in a legible fashion. Even when the dials are “moving” the screen never becomes too cluttered or hard to read. The physical controls are firm, clicky and highly responsive. In addition to the fire key, and the up/down controls, the GTS has a “menu” button, which allows users to quickly enter the system trees and make onscreen adjustments in a flash. It’s all very linear, making it near impossible to get lost. Once in the menus, there are plenty of options. 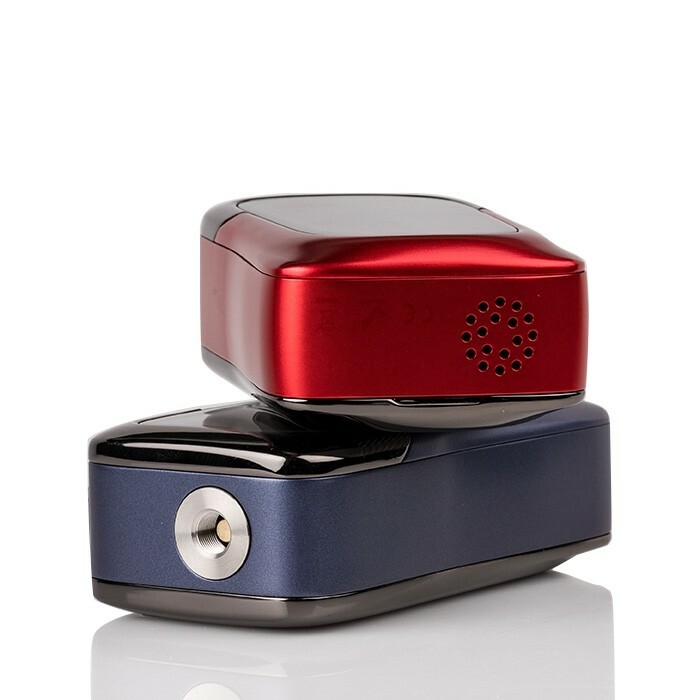 Within seconds, users can set their preferred mode, adjust preheat, and be vaping – a lot of things to do, in the same amount of time it would take most people to simply find an option on a more traditional setup. Finally, the GTS’s fire key is extremely stiff, in a good way. Each press requires a firm, even press, which fights off pocket firing, and provides a nice tactile feel when vaping. It’s not overly tight, but it definitely requires intent. With 230 watts of potential power, and a minimum resistance of 0.07 ohms, the GTS gives users a pretty big playground, for whatever atomizers you want to use. 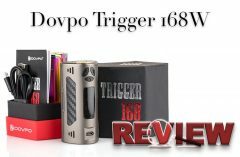 As usual, I try to “stress test” high-wattage mods – especially the ones that boast of monstrous power on two 18650 batteries, like the GTS. So, I grabbed my trusty Goon with an ultra-low Kanthal build on it, and started climbing the ladder, 20 watts at a time. 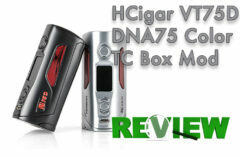 I won’t bore you with the details, but rest assured, the GTS is – by and large – a 220-watt mod. “But wait, the box says 230 watts!” We know. And all signs pointed to REV-Tech’s flagship device hitting that mark. But, just 10 watts shy of its goal, the GTS sputtered and halted. Now, keep in mind that we climbed the wattage ladder quickly. But the device never felt hot, and always provided smooth power flow … at least until 220 watts. Then, as if the mod suddenly noticed the number on the display, it flickered, shorted, and went black. Removing the batteries and reloading them set everything straight, and the mod once again worked as intended. But after easing it up the chain once more, the GTS still tapped out at 220 watts. On. The. Nose. I’m normally very cranky about discrepancies like this, but there’s nothing vapers can do at 230 watts that they can’t do at 220, so I’m calling this a wash. Truth be told, REV-Tech should have capped the mod at 200 watts, and let the headroom ensure there would never be misfires at higher wattages. The GTS is more than powerful enough, and perfectly smooth up until that elusive 221st watt. Bringing the GTS down to more-common wattages saw the device produce some wonderful results. 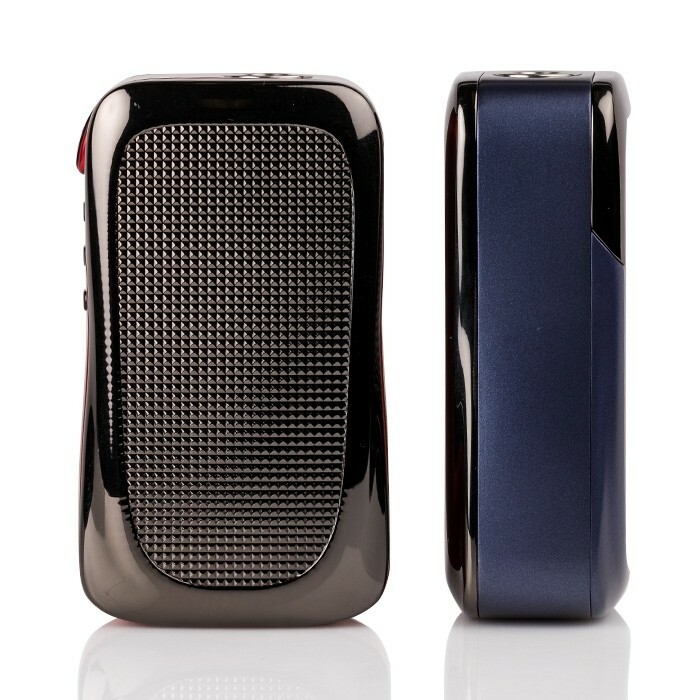 The vape quality is fantastic in both wattage and TC modes, with unwavering power and fast ramp-up times, regardless of which preheat setting you choose. Normally I’d go through a series of individual coil tests, but there was nothing interesting or newsworthy to report. So, I’ll summarize this way – if you have a preferred type of coil or series of coils, the GTS has you covered. I tried to trip-up the device with complex coils, but the precise TCR settings were spot on. Other than the size, which I found to be a little unwieldy for smaller hands, there is little to complain about when vaping the GTS mod. It’s strong, accurate, and wholly unique – a rare combination these days. Like I mentioned earlier, the REV-Tech GTS isn’t for everyone. 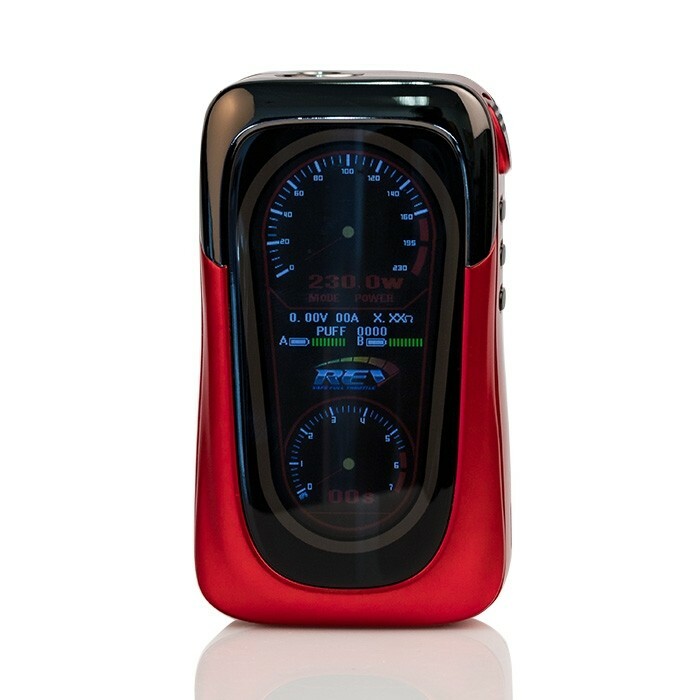 But when users get past the automotive trappings, and the slightly jumpy screen, they’ll find an absolute monster of a vape mod. 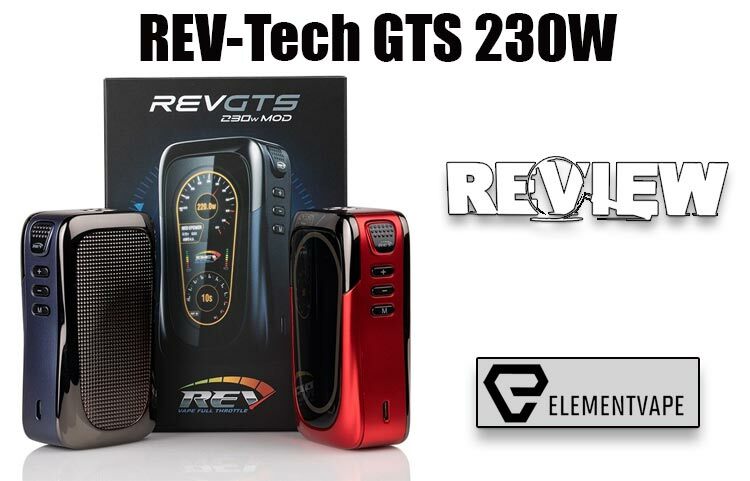 REV-Tech is onto something special with this new line of devices, and the GTS is a hell of an introduction.